Had a little fun this afternoon experimenting. 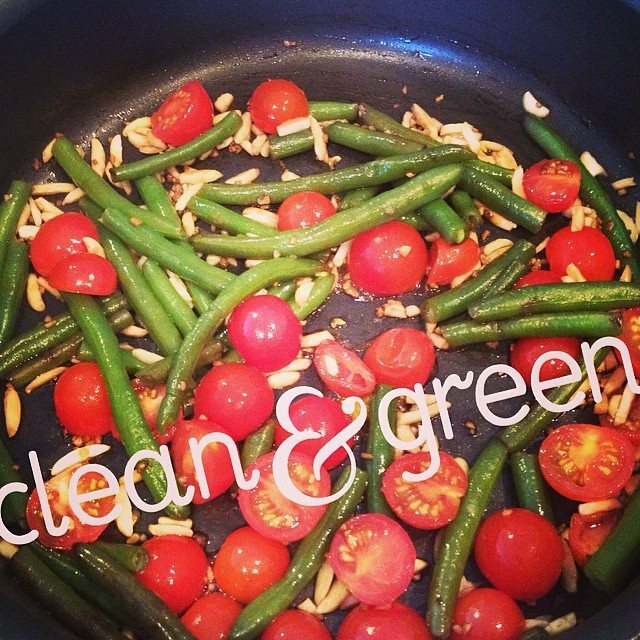 Balsamic, coconut oil, garlic, green beans, almonds, and tomatoes. For a snack or side dish- I recommend either taking the tomatoes away or keeping the tomatoes and adding a little low fat cheese. For a main meal- I suggest adding some diced chicken and/or some whole grain pasta. Previous Post Adding flavor without adding calories! Next Post Most wonderful time or craziest time of the year?